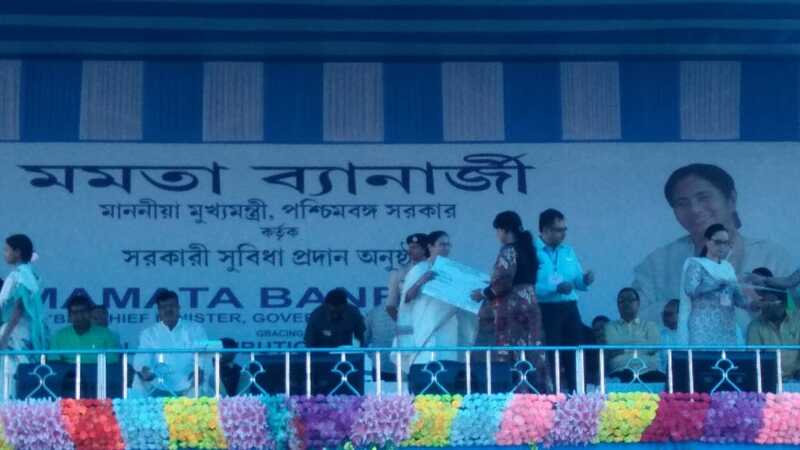 State Chief Minister Mamata Banerjee attended a government program in Cooch Behar Rasmela ground on the second day of her trip to Coochbehar on Tuesday, where she inaugurated and laid the foundation stone of various government projects. In today’s program, Chief Minister target BJP on issues such as ‘Beti bachao, Beti Parhao, NRC in Assam, racism, etc. 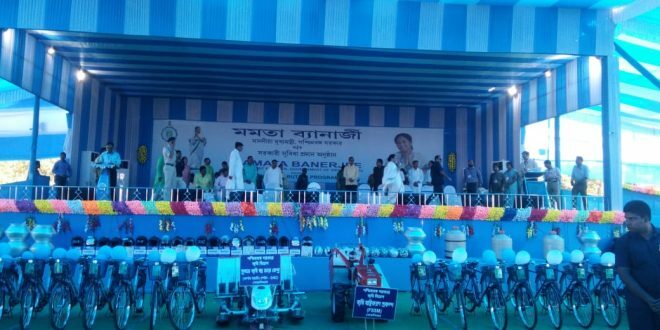 Yesterday, Chief Minister Mamata Banerjee reached the meeting at Rasmela ground from Circuit House at 12.45 pm. From the platform, she inaugurated 16 projects built at a cost of 108 crores and laid the foundation for 9 projects that will be made at a cost of Rs. 61 lacs. 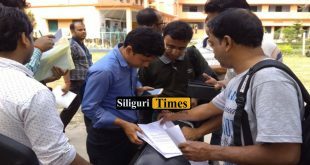 Following this, the Chief Minister provided government facilities to the people under various schemes and student. 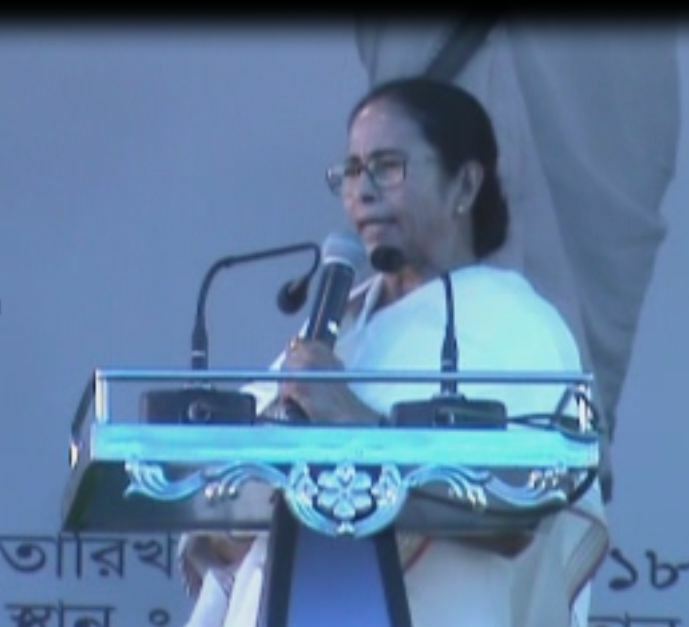 Addressing the people in the program, the Chief Minister said that those who do politics in the name of religion will never be able to come to Bengal. 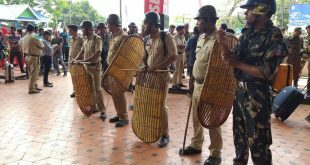 The Chief Minister said that the development done by the present government here, hasn’t been done by any ruling party in the last 70 years.